The Environmental Protection Agency is looking to fix what it calls the "broken" process of balancing pesticide approvals with endangered species protections, which conservationists have warned could be the start of eroding key protections under the Endangered Species Act. "The current Endangered Species Act pesticide consultation process is broken," said EPA Administrator Scott Pruitt in announcing a new interagency working group with Interior Secretary Ryan Zinke and Commerce Secretary Wilbur Ross. Their goal is to fix the system which ensures endangered species aren't harmed when approving the use of new pesticides. The working group comes after the White House announced it will be taking actions to streamline environmental permitting and siting requirements as part of Trump's infrastructure agenda. The EPA said the new cooperation on endangered species comes at a "critical time" when the agency is looking to complete 700 pesticide registrations over the next four years. "Today, the Trump Administration is taking action to improve and accelerate this process, harmonize interagency efforts, and create regulatory certainty for America's farmers and ranchers," Pruitt continued. 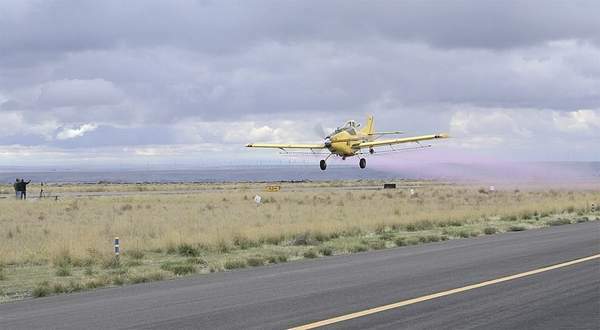 Farmers and ranchers are principal users of pesticides. The consultation process that Pruitt wants to improve falls under Section 7 of the Endangered Species Act, which requires all agencies to consult with federal wildlife regulators on the effects of any actions, specifically pesticide approvals, which could harm animals protected under the law. Environmentalists and conservation groups have raised concerns about the administration taking steps to erode the Section 7 consultation process in 2018, based on updates the administration has made to its regulatory agenda. Wednesday's announcement was made at a state meeting of agriculture commissioners where the EPA and the Commerce Department signed a memorandum of understanding creating an interagency working group "to evaluate and improve the Endangered Species Act consultation process for pesticide registration." State officials at the meeting welcomed the effort, which they said showed a willingness to consult with rural America in pursuing Trump's pro-growth agenda. "Once again, EPA has acted on the calls for regulatory reform from rural communities across the country," said Oklahoma agriculture commissioner Jim Reese, in a statement provided by EPA. "I'm glad to see Administrator Pruitt carrying out President Trump's pro-growth agenda benefiting Oklahoma farmers and ranchers."